North East Electronic can provide you with Intruder Alarm systems and Security Alarm systems to protect your home and business 24 hours a day, offering real peace-of mind, leaving you safe in the knowledge that your property and assets are protected from unwanted intruders. Our remote monitoring service provides an assured response to action the relevant services for your personal safety and to safeguard your property and possessions. 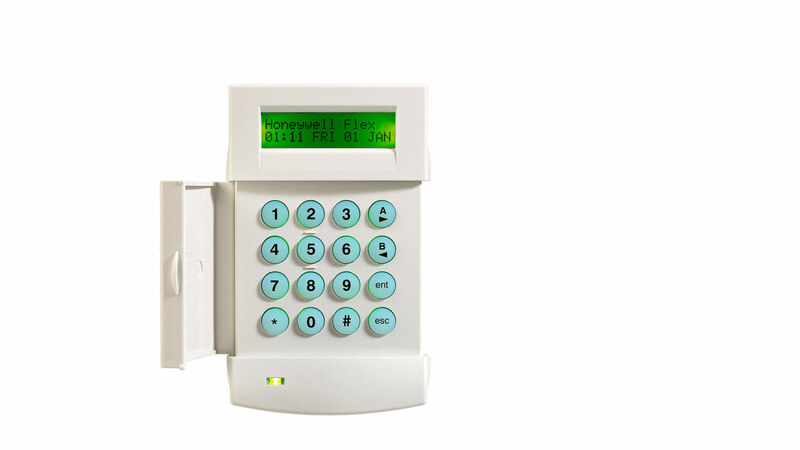 North East Electronic intruder alarms systems and burglar alarm systems operate in accordance with EN 50131, PD662, DD243 and SSAIB. Closed Circuit Television is considered to be the most effective method of reducing crime. North East Electronic can provide design, installation, commissioning and maintenance of CCTV systems for a broad spectrum of applications, meeting the requirements of BS EN 50132-7 and the SSAIB. North East Electronic provide access control systems for managed access into and within buildings for authorised users. Access Control systems can be as basic as a single entrance door or a multi-site, fully networked solution controlling thousands of doors with varying staff access levels, each fully configurable by individual or by department. We can provide the design, installation, commissioning and maintenance of Access Control systems meeting the requirements of BS EN 50133-1 and SSAIB. Our fire alarm systems can be commissioned to communicate with emergency services via an Alarm Receiving Centre for off-site monitoring. North East Electronic offers a range of services including design, installation, commissioning, maintenance and monitoring of fire detection systems and fire alarm systems in full compliance with the requirements of BS5839-1:2002. These fire detection systems and services are assured through our BAFE accreditation. Our remote monitoring service provides an assured response to action the relevant services for your personal safety and to safeguard your property and possessions. North East Electronic intruder alarms systems and burglar alarm systems operate in accordance with EN 50131, PD662, DD243 and SSAIB. We provide Fibre Optic Cabling & Cat6a installations to companies of all sizes, for their data cabling and structured cabling requirements, in Aberdeen & Aberdeenshire, from new installs or modification and upgrading of existing data cabling installations in Aberdeen and Aberdeenshire. LED lighting systems are becoming increasingly popular amongst UK businesses. As well as saving you up to a huge 90% in energy bills, LED lighting is a fantastic solution to reducing your carbon footprint, they're inherently controllable and are durable, lasting up to 10 years! North East Electronic offer a diverse product range of front doors, door entry systems and access control solutions that have been tailored to suit the needs of our customers, both in terms of their function and aesthetic quality. With automatic doors we offer sliding, folding and swinging options, so together we can decide what type is best suited to meet your needs. Our diverse range of Access controls include entry systems, keypads, proximity and biometric technology or a combination of the above. With car parking space now a premium commodity, establishments need to take steps to protect their asset. NEE's cost effective parking controls can be integrated with revenue systems and can be teamed with access control systems to verify the status of the visitor.